Why Is Seal King Successful? Owning a business is a dream that many people are waiting to fulfill. There are quite a few benefits that rush to mind: the independence of being the boss and setting the working conditions, a positive attitude toward work, job satisfaction, the ability to enjoy financial success, and the power to control your own future. Owning your own business can be very rewarding. Here are just a few reasons to choose Seal King. Marketing: We have developed unique ways to attract new business. Equipment: Our equipment is custom-designed for residential seal coating. 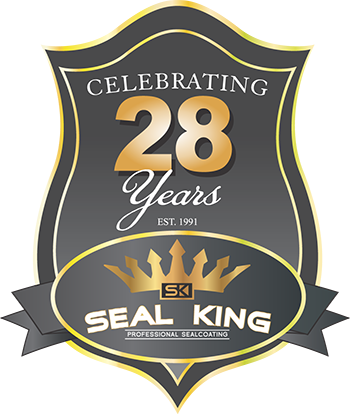 Experience: Since 1991, Seal King has served over 150,000 customers. Low overhead: No need to maintain a costly warehouse. Low receivables: You receive payment upon completion of work. Less risk: Proven business plan, detailed operations manual. Name recognition: The Seal King name is well established and respected in the pavement industry. 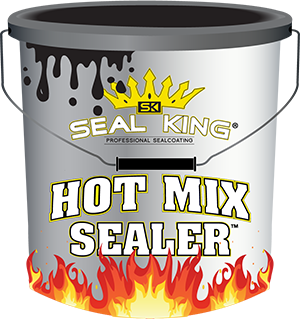 Sealer: An industry-leading manufacturer provides Seal King with our special industrial sealer. Advertising: Our brochures and literature have been professionally designed. Support: The franchise development team is devoted to working with new franchises. Teamwork: Owners and employees work together to provide quality customer service. Locations: We provide franchises with large areas to run their business. Web Advertisement: We use professional web design & support for a top quality public interface. Home Based Work Environment: Due to the high cost of office and warehouse space, more businesses are operating from the home. The Seal King Franchise system allows you to operate a professional business from your own home.